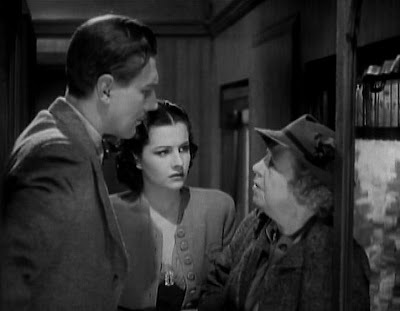 Alfred Hitchcock’s last film made in Britain before his shift to America, The Lady Vanishes (1938), is widely viewed as one of his all-time best films. I would n’t put it in the category of some of his classics, but it was probably his best comedy (or, if you will, “comedy-drama”). One should also not underestimate the importance that railroad trains had during the days before widespread air travel, and The Lady Vanishes is one of the prominent films of that period, along with von Sternberg’s The Shanghai Express (1932) and Renoir’s La Bête Humaine (1938), that incorporated the metaphorical significance of trains into its narrative. The film also belongs to the well-established genre of the socially mismatched man and woman who are thrown together by adventurous circumstances and fall in love along the way, as exemplified by Capra’s It Happened One Night (1934). 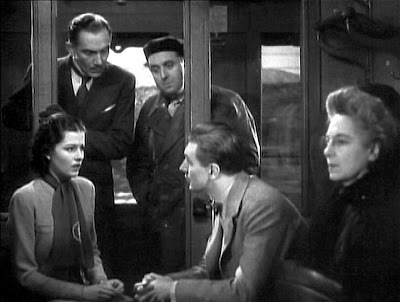 Nevertheless, there are some weaknesses to The Lady Vanishes that keep it below the top rank. Significant among the deficiencies are the implausible and unmotivated events that popup out of nowhere and propel the action forward. The story, which is essentially a spy thriller, is set in a fictional and obscure Eastern European country, Bandrika, which is evidently involved in the Machiavellian political machinations going on in Europe prior to World War II. At the outset a collection European tourists has been temporarily stranded because an avalanche has blocked the railroad. When the tracks are cleared the next day, they all board the train for home (England, for most of those of interest). Once they are on their way, though, one of the travelers, a commonplace, middle-aged woman, disappears. Unraveling the reasons for this disappearance and providing assistance occupies the rest of the film. There are roughly four “acts” to the film narrative, and, interesti ngly, I find the second act to be the most compelling section. After that the film becomes a stock crime thriller of rather unimaginative proportions. Three wealthy young ladies on a holiday. 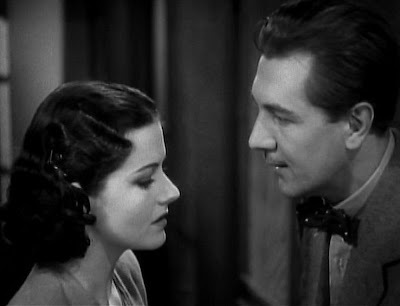 Only one of them turns out be important for the later events: Iris (played by Margaret Lockwood), who is returning home to England to marry her wealthy and socially-approved fiancé. Gilbert (played by Michael Redgrave), a brash young music anthropologist, who is pursuing field studies concerning local dance customs of the region. Miss Froy (played by Dame May Witty), an innocent old governess returning to England after five years. Caldicott and Charters, two stuffy, upper-class English tourists with a consuming interest in a cricket test match going on in England at that time. A barrister, Mr. Toddhunter, and his mistress, who are trying to avoid attracting attention to their adulterous affair. 2. Iris Alone (31 minutes). Before the train departs, Iris is hit in the head by a falling brick that was apparently intended for Miss Froy. 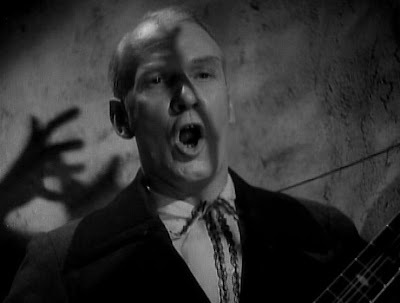 This is the first occurrence of a recurring pattern in the film: the audience is often ahead of the characters in terms of awareness of threats. As the train departs, Iris, still dazed by the knock on the head, joins Miss Froy’s compartment, and they chat. When she later awakes from a brief snooze, she discovers that Miss Froy is gone, and everyone around her denies ever having seen the old lady. Of course we saw Miss Froy, but the others deny her existence and argue that Iris’s accident has led her to hallucinate the old lady’s presence. With paranoia mounting by the minute, Iris becomes increasingly distraught by the evident conspiracy around her to deny the truth, and she finally enlists the sympathetic, but politely skeptical, Gilbert to her cause. The dramatic buildup in this act is superb, as Iris’s concerns for her friend is confidently dismissed and “explained” by an onboard psychiatrist, Dr. Hartz (played by Paul Lukas), as merely a temporary neuropathology. But at 55 minutes into the film, Gilbert finally notices a discarded tea package that confirms Iris’s story is true, and he rallies to her cause. 3. Iris & Gilbert Seek Miss Froy (20 minutes). Gilbert and Iris now actively look for clues about Miss Froy and discover that an Italian magician on the train is part of the plot. Eventually it is revealed to the viewer (but away from the focalization of Gilbert and Iris) that Dr. Hartz is an evildoer and in charge of the conspiracy. A few minutes leader Hartz reveals his malevolence to Gilbert and Iris after having given them a drink that will poison of heavil y sedate them. But wait, Hartz’s scheme is mysteriously sabotaged by one of his own charges, a woman disguised as a nun, who failed to put the sedating drug into the drinks. Iris and Gilbert find and revive Miss. Froy, who is actually a British spy and who had been wrapped in bandages as Hartz’s patient, as the train arrives at local the station. 4. The 2nd Train Trip (18 minutes). Dr. Hartz realizes that his plans have gone awry, but he is still in charge at the local train station and directs the carriages containing the British passengers to be uncoupled and attached to a train that will take them to an isolated area inside Bandrika. When the train stops, the British passengers are trapped inside their carriage, as soldiers prepare to take them prisoner. While Miss Froy escapes on foot out a back window, a fierce gunfight breaks out between the passengers and the soldiers. Meanwhile Gilbert and Caldicott manage to restart the train themselves and drive their comrades back across the border into “free” territory. At the end of the film back in London, Iris abandons her betrothed and accepts Gilbert’s marriage proposal, and then they both happily learn that Miss Froy, too, managed to make her way safely back to England and report to the Foreign Office. Love triumphs in the end, and evil foreign plots have once again been sty mied. Francois Truffaut said that he so much admired The Lady Vanishes that he sometimes saw it twice in a week and that he knew the film by heart. To me the film is an amusing piece of fluff but falls short of Hitchcock’s best efforts. All in all, the film is something of a paean to the British cultural identity in the face of the gathering international political storm clouds of the late Thirties. This may appeal to Anglo-American patriotism, but it reduces some of the performances to more transparent schematizations. For example, the barrister, Mr. Toddhunter, has no real significance to the story other than to portray the kind of “appeaser” that was held in much contempt by the warhawks of those days. To be sure, there are some delightful elements in the film to be savored. One example is associated with Hitchcock’s adroit mechanisms of visually alerting the viewer to something that is not yet evident to his players. When Iris first chats with Miss Froy on the train, the old lady uses her finger to mark out the spelling of her name, “Froy”, on the dusty windowpane next to them. Later, after everyone denies the existence of Miss Froy, Iris and Gilbert sit down by the same window. The viewer clearly sees the name “Froy” still marked on the window, while Iris and Gilbert blithely converse for a couple of minutes, oblivious to the telltale evidence demonstrating the real existence of the old lady. It is a delicious momen t of suspense as the viewer waits impatiently during the conversation for what can only be inevitable: for Iris to glance at the window and recognize the significance of the marking. The acting and characterizations in The Lady Vanishes are relatively uneven. 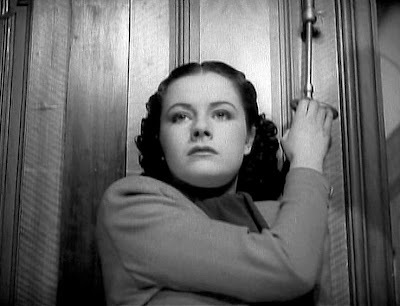 Margaret Lockwood, as Iris, has the allure and spark to sustain interest in her persistent efforts to find and assist her friend, Miss Froy. Indeed the energetic performance of this beautiful brunette (this was before Hitchcock’s later obsession with washed-out, stereotyped blondes) manages to sustain the narrative throughout. But Michael Redgrave, who was a prominent stage actor and making his first major film appearance, is much too cavalier and self-conscious to be believable. The whole thing seems to be just a lark for him, as he smirks his way from one scene to another. The result is that the chemistry between Iris and Gilbert is pretty artificial and nothing like the Gable-Colbert combination in It Happened One Night. 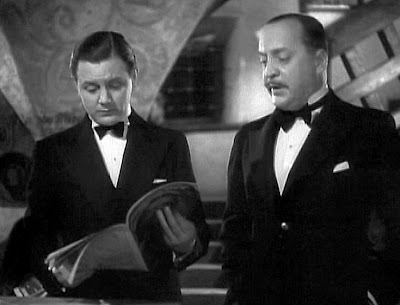 Many of the other characters are also relatively wooden or hammy, but the duo of Caldicott and Charters (played by Naunton Wayne and Basil Radford) rise above such banalities and almost make the film their own. Their brilliantly humorous and spot-on portrayals of two idle and useless English gentlemen (very much in the P. G. Wodehouse tradition) is hilarious and irresistibly whimsical. I couldn’t get enough of them, and, tellingly, I preferred their screen presence to everyone else's, including those of the two leads. The motivational background concerning Miss Froy’s spying activities is never provided. What is it that she knows and intends to convey to the British Foreign Office that is so important? We never learn that. The member of Dr. Hartz’s gang of conspirators dressed up as a nun, who saves Iris and Gilbert, is a shameless and inexcusable example of a deus ex machina. She just pops up out of nowhere – no foreshadowing, no motivation, nothing – and betrays Hartz for no apparent reason. When Hartz, allegedly a doctor, examines Iris and Gilbert at the time they are feigning drugged unconsciousness, he doesn’t merely glance in their direction. He actually raises the closed eyelid of Gilbert to check if he is insensate. It is unbelievable that he would not see at such a close range that Gilbert is merely pretending. After getting knocked out in the fistfight in the baggage car, how does the villainous magician recover so quickly and why does he later show no acknowledgment of what happened? How do Gilbert and Caldicott manage to drive the train back across the national border? Overall, The Lady Vanishes is a lightweight, escapist caper, but nothing so sublime as Hitchcock’s wonderfully told The 39 Steps (1935). FINALLY someone who is able to see this universally overrated film for what it is; an uneven mess with some brilliant touches. Thank you! I'll be sure to send some more traffic your way in the form of a few doubting Thomases who are in need of more eloquent reasoning than my own feeble attempts at making them see the light, hehe.